Atlanta’s Migos delivers another bangin’ single off their upcoming mixtape, YRN 2 (Young Rich Niggas), with the catchy tune titled “Brokanese.” This one’s all about stacking cash and expensive habits as the rappers go in over a pounding instrumental courtesy of producer Murda. Take a listen as Migos has some fun and drops some boastful rhymes about how their new found financial success. 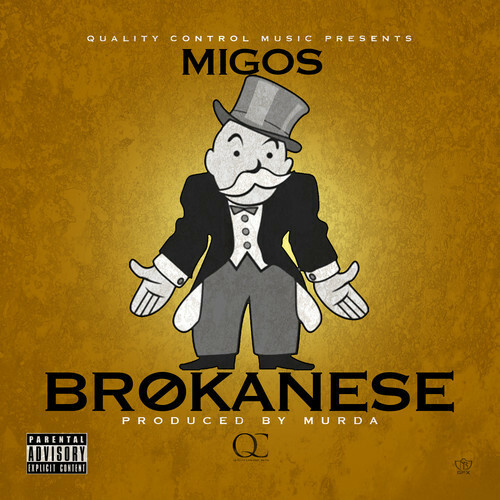 This entry was posted in Audio and tagged atlanta, brokanese, hip hop, migos, mixtape, murda, rap, YRN 2. Bookmark the permalink.